Driven by our passion for literary awareness and with the sole motive of spreading it among all readers, Dogears Etc has now moved across different regional languages and genres. The online bookstore was originally conceptualised as a bookstore for used books that allowed reader to sell and buy used books at affordable prices. Dogears Etc has now taken the initiative to bring Indian language literature to the fore while still catering to the demand for used books. Some of the best literature available in India is in its many languages. 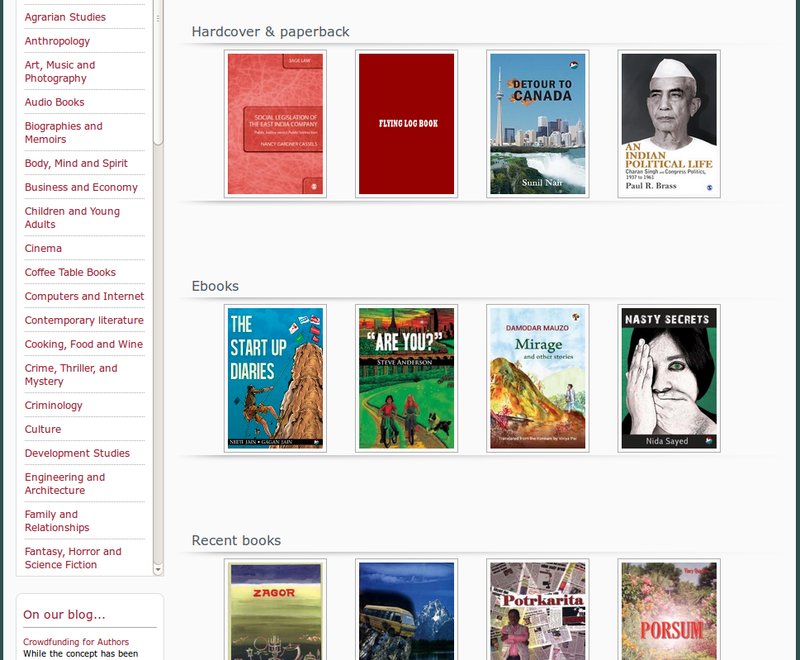 And with growing readership for these languages, we now offer books in different Indian regional languages. These range from Konkani books published in both the Roman and Devanagiri script, besides books in Marathi, Tamil, Urdu, Hindi and Bengali(a translation of Tolkien’s Lord of the Rings series). 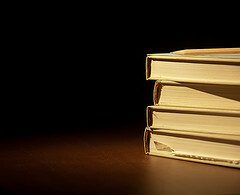 Our book shelves also carry used books including Mills & Boons romances, educational and research books. 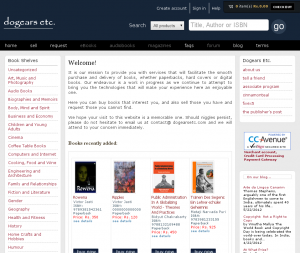 The platform also allows one to sell their books after registering themselves on the website. You are then guided through the entire book listing process. We strongly recommend that you read the terms and conditions mentioned on our website in detail before you sell there, as we always strive to be transparent in all our business dealings and associations. Buying a book is equally easier. The buyer is provided by different shipping and payment options along with the transit time expected. Any other queries regarding shipping are addressed on our website. The journey of a book starts even before it is written. No matter how touching the story is or how real the characters are. No one will pick the book off the shelf unless you (the author) speaks about its conception. That’s right. Promoting your book is equally important as publishing/printing it. Narrate the conceptual journey of the story that you are going to publish. Just as an expecting mother keeps everything ready for her baby, you as the author also need to get ready and enthusiastic readers for your book. All you need to do is start it early! Tell your friends, colleagues, neighbors about the book- the idea behind it, your experience writing it, how it will interest them. This way the book will generate popularity through word of mouth. Your friends might recommend the book to their friends and so on. You already have curious readers awaiting your book’s release. Next step is to keep their curiosity building up. Start a blog or a page on Social media network, wherein you keep the readers updated about the book’s publishing process. Or better still, post a sample chapter of the book just few days before the release of the book so that the story remains fresh in the readers mind. Do not give out every detail of the book or the characters; this will make the readers lose interest. Get people share their similar experiences, their stories might actually provide you with the matter for your next book! Pay special attention to the book cover. Let it reveal the concept of the book without revealing the story. Get genuine reviews about the book printed on the cover, paid reviews will not only appear superficial but will also set a high expectation from the readers which in some cases your book might not be able to live up to. Instead of selling your book to a large number of people, set a target audience based on the contents of the story. Generating readership among selected section of people will be easier than targeting those people who might not be able to relate to the story. Always have a positive attitude when promoting your book. No one knows the story better than you do, not even the publisher. The way to become a best-selling author is just a few talks away! Goa — which teetered on the brink of collapse in the tumultuous seventeenth century — actually became a thriving cultural, religious and diplomatic hub in the eighteenth century, says a new book on the subject. 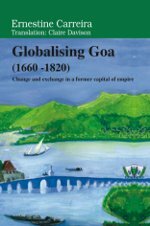 ‘Globalising Goa (1660-1820)’ by historian Ernestine Carreira of the Universite d’Aix-Marseille in France, says Goa built “close relations with the foremost continental empires of the day — Mughal, Maratha and Mysore”. The 622-page title — just published by Goa,1556 — looks at the role Goa occupied both in India and the world beyond, before the advent of the British Raj. “The globalisation of trade in the eighteenth century restored its former Atlantic ties via Brazil and the development of the African slave trade,” says Carreira. She notes that the doors for Goa to the Orient also opened via China and the opium markets. But “within a century, however, it was but a modest outpost of bustling Bombay”. Carreira argues that Goa is today being “rediscovered by the West”. In the early Modern Era too, it “appealed hugely to the European popular imagination” as a far-flung capital where two worlds and cultures overlapped”. But after falling “into oblivion” for two centuries, such narratives are now being reassessed as “inventive forms in a Western literary tradition which yearned to relive exotic history by proxy or to understand the expansionist appetites of the past”. In four parts, the book seeks to locate Goa “inside and outside” Portuguese imperial dynamics; study Luso-French networking and connections between Goa and Pondicherry in the eighteenth century; review the role of Goa in global trade; and understand the role of Goa in travel journals. Among other topics, the hard-bound book, priced at Rs 500 in Goa, looks at the currencies that were relevant to Goa in the past. It studies the “shifting boundaries” of the area governed by Goa. In one chapter titled “An Empire for Sale”, it explains French and British companies’ strategic bids to take over the Estado do India ports between 1661 and 1813. The book, published by Goa, 1556, is available for sale on dogearsetc.com. Traditional publishers have right from the beginning decided whether or not to publish a book based on the platform that the author’s book can generate in the market. And many aurthors think that approaching a traditional publisher is more beneficial because the traditional publishers have a better idea of the type of market the book will do best in. The potency of your marketing platform does determine your success rate, but this doesn’t mean that only traditional publishers have the secret recipe to success. There are many independent publishers out there who are doing exceptionally well with little or no help at all from traditional publishers. What’s their secret to success you ask? Social Media! “Social media allows us to behave in ways that we are hardwired for in the first place – as humans. We can get frank recommendations from other humans instead of from faceless companies,” says Francois Gossieaux, co-founder of Human 1.0, a management consultancy and Co-Author of The Hyper-Social Organization. Wrap your mind around this one, for there is no circumstance under which thousands of fans and followers are a bad thing. 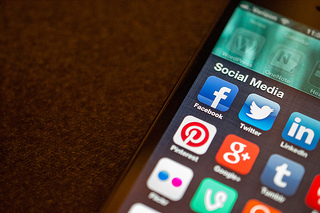 As Brian E. Boyd Sr. says, “Social media takes time and careful, strategic thought. It doesn’t happen by accident.” You have to start building your potential market at the very beginning and not just after you’re done writing your book. Because the platform will take at the least 9 months to develop, giving you a better exposure to prospective fans. Ideally you should start building a platform even before you write a book. 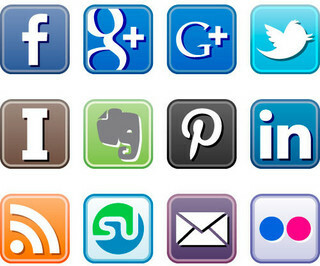 Once you’ve created an account on most of these sites, the next issue you need to focus on is creating a good profile. Remember your profile is basically a medium that advertises you to the rest of the world. So it needs to portray you as a fitting, trustworthy and likable person. First make sure the picture that you choose to upload as your profile picture is a high definition picture of your face and not your spouse, car or pets. Secondly don’t forget to feed in your personal details in the little text boxes that have been provided for this purpose This will help your potential fans know you better. Once you’ve done this, all you need to now do is keep your profile page busy. Your profile is the page that advertises you, and you have to make sure it makes you stand out from among a million other such profiles. 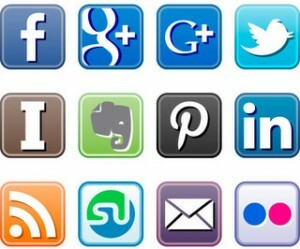 Social websites are busy sites with hundreds of pictures and posts pouring in every second. As such people don’t notice posts that contain tiny images or simple text. In order to make your post visible it’s best to use pictures that are at least 400 to 500 pixels wide or maybe even a video from YouTube. Don’t forget to respond to the comments that your post generates. Remember you are not delivering a sermon, but a post which is more of a conversation. If however you are not getting any “likes” or comments, then you must be doing something wrong. Make the posts more interesting, add a caption to each picture, you can even describe what you were doing or why you clicked the picture in a few lines. Make sure you don’t sound pompous. Nobody likes a snob! Be friendly and humble in what you say in your posts. Or you will generate haters in a time frame that’s half as much as the time you took to create you platform. Be warned! It is never guaranteed that your target audience has read or even seen your posts. It is advisable to thus re-post your matter maybe every 12 hours. Assuming that the post will generate 12000 fans when it is first published is pretty much naive. NDTV doesn’t run it’s headline once a day, assuming that it’s viewers will see it the first time it flashes on screen or maybe they’ll record it and watch it later. Publishing your post and pictures every twelve hours will help you reach your audience who were then asleep but are now awake. And last but not the least, you don’t have to sit down and carefully plan every post and re-post. Just be spontaneous! If you have a picture about your personal life or a picture that is quite inspirational or funny, upload it! Your fans will in some way or the other find their way to you. Yes, it will take some time but it WILL happen. Don’t forget to be yourself. You don’t have to sound all professional and snooty. What you post is a reflection of what you are. This is more than enough to attract fans who will love you and your work for what it truly is. There is little right or wrong in social networking, even what I say here may or may not work out. But then again it’s all about what really works for you and what doesn’t. So go ahead, get started and explore the world of social media. You’ll figure it all out along the way. = The service will be non-exclusive: Authors and publishers will be allowed to terminate the contract at will. Upon termination, only those titles that have already been purchased will be retained so that those buyers are not affected. = Social DRM will be implemented: The idea of DRM is a tricky one, with forceful arguments for each side. While we do not support piracy, we also think that DRM is not as effective as it is said to be. Add to it the costs of implementation and monitoring and you have a large investment that does not pay for itself. We would rather appeal to the buyer to use his purchase honestly. We have decided therefore to implement a model of Social DRM where the book file is identified with its buyer. Should the buyer pass it around irresponsibly, we will be able to track the book to its buyer and warn him of the consequences of his action. = The service will primarily cater to the needs of Indian language publishers: Most e-commerce websites available thus far do not cater to the specific needs of Indian language publishers whether in the type of books they hold or the way books in these languages are developed. We have spent a lot of time working on these aspects and are now able to both develop e-books in most Indian languages and display their information adequately on the website in that language, thus allowing it to be searched by various search engines . We hope that this effort will go some way in making books in Indian languages more accessible to readers around the world. = The royalty rate will be fixed at 75% of the list price: We wish we could keep it higher than that but there are some administrative costs involved that just won’t allow us to retain a lesser amount. We have therefore kept the royalty rate for publishers and authors at a fixed 75% of the list price. We hope we will be able to stick to that rate for a long time. = Publishers will have the option to pay for development fees or receive a reduced royalty rate: If the books are not developed as yet, we offer this development service and will develop books in the EPUB, MOBI and PDF/A formats. Together, these 3 formats will allow the book to be read on most readers. Publishers will be offered the choice to either pay for the development of the e-books or accept a reduced royalty rate of 50% in lieu of payment. = Customers outside India will also be able to buy these books: With the e-book market in India not fully developed, we believe that the majority of buyers for such books, especially for those in the Indian languages are based outside India, primarily among the diaspora. Our e-commerce platform has always allowed non-rupee transactions and will continue to do so. Books can therefore be sold to those based outside India, subject to territorial rights of course. = We will sell in 3 formats: EPUB, MOBI and PDF/A: There will be no restrictions on the formats of e-books sold on our platform. While our e-book conversion service includes development in 3 formats i.e EPUB, MOBI and PDF/A, other formats will also be allowed for sale. We are very excited about this new service and the opportunities it offers authors and publishers and hope that they take advantage of this to the fullest. For details contact us at contact@ dogearsetc.com or call us at 94226 85530 and ask for Queenie or Leonard. The dangers of losing out to e-book piracy is a real one. It can mean hundreds, perhaps thousands, of dollars in lost sales and little to show for the author’s efforts. In situations where the authors themselves have seen rampant piracy affect their books, a debate on whether or not DRM should be employed is in itself a futile exercise. Employing social DRM or the complete absence of DRM makes little sense in such a context. At CinnamonTeal we have advocated the absence of DRM and have partnered with channels like Smashwords that think likewise. Our belief is that DRM is a costly investment that will, in any case, be tampered with and rendered ineffective. If a hacker wishes to get a book pirated, he/she will find a way to do and the presence of DRM will be but a mere irritant. In the case of people who have genuinely bought an e-book and wish to read it on multiple devices, the presence of DRM might actually dissuade sales. Therefore the space between a rock and a hard place is a very real one for exponents of digital books. On the one hand, digital book sales are expected to grow manifold judging by the sales of e-book readers last Christmas. e-Books also present new authors with a very real chance of reaching out to new readers at a fraction of the cost it might take in the case of printed books. However, the threat of piracy negating all such expectations is equally real and must be dealt with. An author once told me how she thought that her friends would each buy a copy of her new book only to discover that they had bought just one copy and passed it on among themselves. One man’s sharing is another man’s piracy (which is how ebook publishers would describe it). Effective DRM means that a father reading on a iPad cannot share a book with his daughter reading on a Nook. Expecting users to agree to such controls is maybe expecting too much. There has to be some middle ground found. This debate over e-book piracy has certainly questioned some age-old assumptions we have had. While it seemed okay to borrow printed versions of the book at the library until they were tattered and torn and forced the purchase of another copy, publishers have questioned the logic of extending this practice to e-books (whose condition does not deteriorate over time). HarperCollins recently announced that libraries could lend an e-book only 26 times before they had to purchase it again. How the publisher arrived at that number is anyone’s guess. Borrowing and sharing aside, piracy has always been a thorn in the publisher’s side. Music industry veterans will remember an eerily similar situation that occurred when digital music, originally seen as an additional sales channel, proved to be a menace that allowed easy piracy. There are no easy answers. As e-books proliferate, sometimes at the expense of printed versions of the book, publishers will try and err in their quest to find what works best for them. One only hopes that publishers take decisions that are in everyone’s interest, those of the publisher, the author and the reader. In a rather interesting blog, Jürgen Snoeren, Manager Operations and Digital with Amsterdam-based publisher MeulenhoffBoekerij, exhorts small publishers to establish relationships with their customers rather than with retailers. Obvious as it may seem, it is a step not too many publishers think about. In this blog, Snoeren asks publishers to focus on developing a digital infrastructure so that they can publish quickly and in all formats and to exploit every sales channel available to them. a. Experiment with retail: Be in places that your readership frequents. New Horizon Media has tried this approach and seems to have enjoyed success. Book stores are currently, for the most part, cluttered with many other products vying for the customer’s attention or too crowded to facilitate leisured browsing and purchasing. fivex5 is one such experiment that we intend to pursue in 2012.
b. Develop a good website: In these days where the natural inclination is to “go and google” for every sound we hear, having a website has become a non-negotiable imperative for every publisher. Publishers should consider it as an investment rather as an expense and be involved in its development rather than allowing website developers a carte blanche in its design an execution. Publishers must decide what they intend to achieve with the website: whether they intend to make their audience aware of its list or if they intend to extend the purpose of the website and also offer sales. They should also be aware that customers are an impatient lot so it is important to get the information to them in as few clicks as possible. Understanding and developing metadata is also important as it allows information to be accessible when the customer uses a search engine to find a book. c. Work with schools: Unfortunately, perhaps because of the logistics involved, schools and children haven’t figured much in publishers’ plans to market their books. PTAs provide a conduit to reach out to parents for books that are not suitable to market to children. Books pitched to children might result in larger sales when done in schools as children might buy what their friends are buying. Besides, such activities will help achieve the longer term goal of attracting children to the joys of reading. These are the obvious steps a publisher could take. I am sure the marketing whiz kids at the publishing behemoths have better ideas. 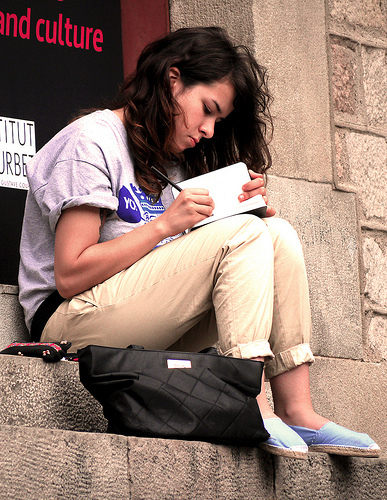 It’s the independents who, short of resources, need to be creative about their marketing. And, for the most part, they have managed to do a good job there. The call to develop a digital strategy must, however, be carefully examined. With all the buzz about e-books and the prophesies that publishers who don’t invest in them might soon sink, many such publishers feel compelled to develop a strategy for e-books. A hasty approach might be equally disastrous and publishers should therefore examine their markets before investing. E-books, by virtue of being easily accessible, do allow access to widespread markets but the readers in those markets have to be an advanced stage that allows them to properly “consume” these books. If they primarily prefer the print version, an investment in digital content development might be unnecessary. So also if e-books form a minuscule portion of the market and can be developed by outsourcing rather than developing in-house. Publishers should behave like business houses with a well-defined business plan that includes a comprehensive marketing strategy while deciding whether or not to develop digital content. In many parts of India, literacy itself is an issue that can best be tackled by the tactile experience of an e-book and publishers might do well to understand and address that need. 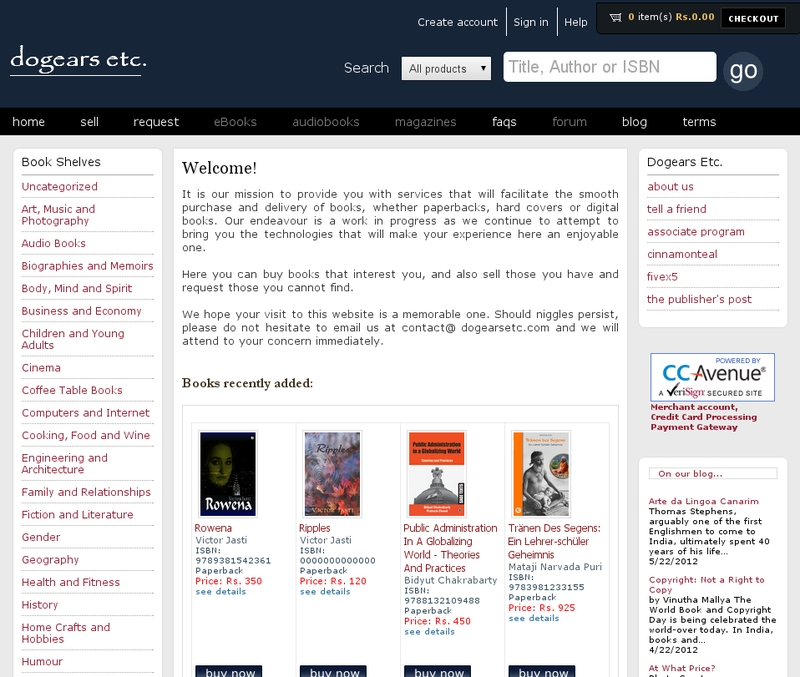 While e-book channels do offer direct access to the reader, through fewer intermediaries than those for printed books do, the very nature of the end product does not, in our opinion, serve the larger purpose of inculcating and sustaining the reading habit among those for whom the book is a scarce resource. Examining the Indian market, Pan Macmillan Asia m.d. Daniel Watts, who is based in New Delhi, said the main challenge for publishers selling in India was payment collection, with distributors under pressure from retailers to provide better service, availability and prices, and retailers wanting to deal directly with publishers. He said there were ongoing talks between the major publishers operating in India, including HarperCollins and Pan Macmillan, over whether to work together through a central warehouse to supply retailers directly, a move which may be a possibility within the next “two to three years”. He estimated that the online bookselling market, led by Flipkart.com, currently has a 15% share of the market, with physical book chain Crossword c.o.o. Kinjal Shah telling him that his board of directors no longer have the confidence to open new stores. That the distribution system in India needs a revamp is a no-brainer. Publishers across the spectrum will tell you that the distribution system is an evil they have learnt to live with. Payments are slow, discounts are high and books are almost always taken on an SoR (“sell or return”) basis. All that might have been bearable if books travelled the last mile and reached the eager reader. Poor road infrastructure and distributor apathy ensures that that does not happen. What is interesting is the comment made by Kinjal Shah on the reluctance by his company to open more stores. If other bookstore chains, like the one he oversees, also feel that way, that leaves the field wide open for online stores to take their place. The increasing internet penetration in the country will only help their case, already buoyed by features such as Cash on Delivery (COD). That cannot be good news. Most online bookstores also carry other products and, more often than not, use books as loss leaders. That means many books are often sold at extreme discounts, a practice that does not bode well for publishers. The archaic distribution system that exists in India has prompted many publishers to engage in retail, Penguin included. Other models are also being attempted, like the book club model by LeftWord Books. These are desperate attempts, and the degree to which they succeed will ultimately decide whether bookselling in India goes the Amazon way. For publishing to truly thrive in India, efficient and viable bookstores are a must. Online platforms simply do not have the reach that physical stores can potentially have. Even these stores will not fulfil their potential if the distribution system does not ensure that the reader’s wants are met. That means distributors have to understand reader tastes and preferences and study the market for certain types of books. Books in the languages (other than in English and Hindi) must be available not only in the states that these languages are spoken but also elsewhere, where a diaspora speaking that language exists. Unfortunately, such a scientific approach to book-selling isn’t taken and books are moved to markets going by just instinct. The my-way-or-the-highway approach that retailers seem to have taken will not help the industry. If publishers will ultimately suffer because of these practices, they will be loathe to bet on books that serve a niche market and whose demand might materialize over a period of time. Only “blockbusters” will be published, dumbed-down fiction that appeals to all. The more intelligent reader, not to be impressed by such titles, will seek a good read elsewhere. All to the detriment of that cocky retailer. Over the past few years, more than just a few bookstores have started operating online. Flipkart, of course, is the most reputed of them, having started operations in 2007. This proliferation of bookstores is seen by many as an efficient and convenient way to get books delivered at one’s doorstep, often at prices that are highly discounted as compared to the local bookstore and at zero shipping costs. With most stores now offering customers a cash-on-delivery (COD) option, not having a credit card or being reluctant to use one on the Internet is no longer an issue. c. Prices are under pressure. The larger the online platform, the greater is its ability to both extract large discounts from publishers and offer similar, large, discounts to buyers. We saw this behaviour in the case of Amazon and other retail giants and can be forgiven for believing it might happen here too. Although not documented, the effect of the nascent e-commerce market on books sales is quite apparent – sales to individual buyers have fallen and many bookstores now rely on institutional sales to stay alive. That is because online bookstores can demand, and get, larger discounts from publishers as compared to physical bookstores, especially since they deal directly with publishers by bypassing distributors. They then pass on a large portion of this discount to consumers. With lesser overheads than in physical bookstores, they can probably afford to do so. Large discounts plus free shipping automatically translate into sales. Many buyers will privately confess that they have browsed at bookstores but bought online. Some distributors will also tell you, off the record, that many online bookstores sell at a loss. Since they have themselves given them those titles, they should know. What drives online bookstores to offer such deep discounts is anyone’s guess. There is another aspect to this, although it is mentioned here purely on hunch and cannot be backed by statistical evidence. Is it possible that what is marketed as a potential bestseller is then sold at a higher discount, which in turn leads to higher sales in a self-prophesying kind of way? If that is true, then in the absence of visibility (due to the absence of “shelves”), books that are in no way lesser whether in substance or style, get lost only because they were not marketed as bestsellers are or were ignored by book reviewers or because the publisher concerned could not offer a large discount. This leads to a downward spiral. As these books sell in small quantities, the miniscule sales discourage publishers and authors, who decide that such subjects are taboo for which there aren’t any readers, from attempting other, similar books. All this leads me to believe that discounted prices may not be the way to go. True, it delights readers but in the long term could lead to homogenization of material being produced in books. Perhaps the Indian book industry should seriously consider a Fixed Price Book Agreement like the one in effect in Germany and elsewhere. I have noticed that many physical bookstores hold their ground and insist on selling books at the listed price. It does seem like buyers haven’t objected. For how long it will remain that way is anyone’s guess. While online bookstores have made book buying convenient and books cheap, they have certainly raised many issues that need urgent consideration. A platform that offers an opportunity to hear the best and brightest minds speak is one we’d never pass on. So when just that happened, thanks to the Tehelka sponsored ThinkFest, we made sure we attended the entire programme, all three days of it. While the venue and some comments made there could have been avoided, the event in itself provided a lot of food for thought. While laying out the agenda of the conclave, the editor-in-chief of Tehelka, Tarun Tejpal stated that Tehelka saw the need for ThinkFest because “India will grow not because it has a large number of consumers but only when there are more ideas”. He said that intellectual capability needs to be celebrated and that diverse ideas, from the sciences and the arts, need to be presented so that the human mind can then make most of these ideas. and spoke on how it was difficult to produce movies that “deviated from the formula”, yet were made by producers and directors who believed they had a story to tell. Ms. Rao lamented the lack of space that the creative arts had here in India, the space to express itself without being bothered too much about issues like distribution and budgets. Although the speakers were talking about Bollywood, we felt quite familiar with the issues being discussed. Lamentable as it may be, it seems like the first issue that must be discussed by publishers deliberating on a book is the book’s marketability and its chances in the marketplace. The merits of the book, its intrinsic quality and the importance of the topic (or plot) it addresses seem to be of secondary nature. Publishers are quite unwilling to take a risk because the book might not find distributors, let alone buyers. This conversation on stage, by Ms. Rao and others, came at a time when I was reading Aaron Schiffrin’s “The Business of Books“. He states how, increasingly in the United States, certain books are not being published either because a)they serve too small a market (and may therefore have print runs in the hundreds, not the thousands) and b)because the issues being addressed may be ideologically different than those that the owners of the publishing house believe in. While the second reason is something that may not happen in India (although I cannot attest to that), I am sure the lack of a “perceived market” for a title prompts publishers not to publish that title. So never mind that there might be a few hundred readers who might be interested in a particular book; since it may not result in a print run of a few thousands, the book is often not published. Case in point: Mahesh Nair, a photographer by profession, with the permission of the Indian Army, authored a coffee table book titled “Iron Fist, Velvet Glove” that was published by CinnamonTeal Publishing. The book juxtaposed the military activities of the Indian Army alongside its other, humanitarian, activities in a format that had interesting visuals and even more interesting text. 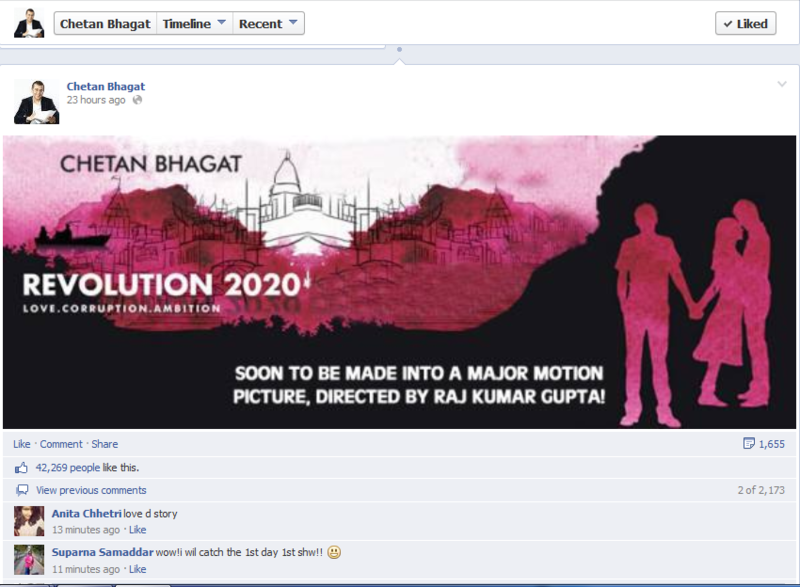 Every distributor we have approached has refused to distribute the title because they feel no one will be interested. With all respect to their wisdom in the matter, we feel it would have been better for the readers to decide that. Besides, the theory that publishers (or distributors) know what readers want is stretching the truth a little. Like Steve Jobs once commented, “A lot of times, people don’t know what they want until you show it to them”. This self-delusion that publishers have, of believing that they know everything about customers’ tastes probably led many to believe that a story about a boy wizard would never sell. Many such stories are well documented. Left with few alternatives, CinnamonTeal is trying hard to develop other initiatives to boost its sales. In many cases it might be about developing its own channels. In the meantime, we are taking quite seriously this exhortation to provide a channel that will allow other voices to be heard. We have been contemplating a publishing imprint for some time now, one that follows the “regular” model of publishing for books of a certain genre, and we can promise you that that will happen soon.